Lack of social skills in my family brought on smacking and violence as a means to solve problems. When I learned how wrong this was it saddened me to learn that my own parents lacked the social skills needed to use dialogue for solving problems and taught me how to use violence. Classically conditioned that violence wins. Bad lesson. When parents have a child that is not the time to tell them there are better ways to bring up their children rather than belittling them, putting them down, or belting them into submission. You see this often at the market place. Even when I see it in the street parents by that stage cannot be told easily and there are reasons for it. They inherently know better? Once a parent has had a child they simply cannot be told how to raise their child based on their own past family experience, they think they have all that experience when it was passed down from the family 'they trusted the most' which is the one that raised them. Then when the marriage breaks down usually because of the high value and principal of 'something' like 'raising children', or 'financial difficulty', or even a number of crisis all together, then taking into account both parents were raised by 'separate families' and could vary in alternative ideas and ideals. Then if a 'personality clash' occurs between them, they have to seek the real answers and when they find out that simple skills could have been learned earlier, either before or after the 'problem' they're usually shocked at the loss. Also learning that their parents may have lacked those skills to pass on! Being locked out of skills can lead people into not taking full responsibility for their actions, crime, problem or learning curve. They could end up in jail! Parents and governments must take some responsibility. In my case the skills most needed were, self-worth, conflict resolution, violence doesn't win, better communication, and compromise. Take the case of the thief who stole short change and killed his victim. If the offender in this case knew how much his victim was worth then he would have valued his victim - at least with as much worth and more than the twenty or so dollars stolen - that he was subsequently killed for. So it's not just responsibility that offender's need they also need worth and they don't get that from the prison system or being put down as a child. In communication children and parents would have learned to only use constructive feedback or pay compliments when addressing someone but no put downs and the reasons for it ensures more friends even when one makes a remark about someone just because they were bored and thinking it was a funny thing to do at the time, for no decent reason of course, but because of that bad remark 'jokingly' has now lost a friend. To learn how much one is worth therefore is an important lesson (social skill). Self worth, self esteem, self-expression, public speaking etc. Hard to come by in a family where parents lack social skills or in a prison. And do I trust myself! I never asked myself that question until after the offending violence and in prison for seven years! I suffered from hives and could not concentrate as a child as much as other children could and because of the violence in the home as well as a drunkard stepfather I was always looking for someone to trust but not myself. You can therefore see how this can prevent one's insight into one's responsibility or offending behaviour that can lead to prison. You may have heard of the hole? In short it's not good to fall into holes because it's cold, wet, and uncomfortable. You need to step around the hole and to do that you need to take responsibility for falling into holes. Potential victims do this as well....Sometimes, setting themselves up for a fall because they too don't know how to take responsibility for looking after themselves. Just like the offenders don't. I could not compromise when the value and principal 'seemed too high'. No skills e.g. compromise, win-win, win-lose, lose-lose. I could have learned that when I was eight years of age, as well as the above stated social skills. Lose the battle and win the war! But I never once asked myself did I trust myself, not to get into trouble, because I was an at risk child who was always trying to find someone to trust in my immature family who lacked social skills. In a crisis situation when the value and principal are high and one's emotional level is high because of it, then one's thinking level is usually low. In that type of crisis with little social skills, a person who has been classically condition to use violence as a means to solve a problem can reach for it in order to solve the problem they don't want. But without that lesson one would not reach for violence as a means, so easily. 1) Not every parent has the social skills to pass on. In fact up to at least three generations of parents in Australia today taking into account indigenous Australians. 2) If parents don't have social skills and can't be sold on better ways to raise children until after they've had children then they have to get those skills before they do have children. If parents have not got them they cannot pass those skills on leaving the child or children more vulnerable and the community more at risk. Where do you get social skills if you cannot get them at home? They have to get them from school there is no alternative. Social skills and academic skills balanced into the curricula. Then all children can get social skills equally even if their parents don't have them to pass on. 3) That's is why up to 5% of people go to jail or hospital or the morgue - expensive results because of the push to produce tax-payers, academics, who may even leave university before they have attained good communication and conflict resolution skills. Especially for those who do not get further education like me leaving school at age 15. 4) This cure is for the potential victims as well you know, not just for the offenders. How not to become a potential victim is written in the social skills curriculum under a few sections like for instance; Provocation, leaving one self-vulnerable, etc. The most serious crimes also occur because the victim lacked social skills. Lack of worth and knowledge can lead to youth suicide where as many as 300 people a year die in Australia of suicide then lessons have surely not been learnt! Therefore the above argument raised about raising children better and making sure that all parents have better social skills to pass on to their children will prevent more victims. This is necessary for their survival. It will also prevent people going to jail. The money spent on police, prisons, hospitals, injury, or even death is returned to the community for better education instead of being constantly drained into a dead end. Who wants to become a victim unnecessarily? Who wants to lose a child unnecessarily? Who wants to live a short life unnecessarily? Who wants to go to jail? If victims use things like 'shifting gears' conflict resolution in a crisis there will be no doubt, less victims. If they have those conflict resolution skills that is? This will save lots the money spent on prisons and the victim industry. Funding returned to the community and the social skills industry and reduces the inflation of building new prisons etc because those five per cent will make it. This will prevent crime and is a cure for domestic violence for the whole community to absorb. A lot of people spend time on post release and that is necessary but I spent my time on crime prevention because then post release is not so necessary nor are prisons. 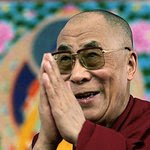 a) DALAI LAMA: "LOVE, PEACE AND KINDNESS YOU CAN'T BREAK IT." 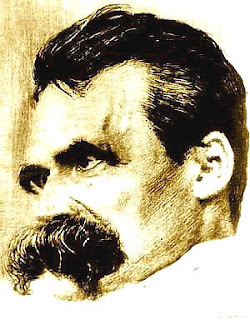 b) FREDERICK NIETZSCHE: "LOVE YOUR ENEMY." THERE IS ALSO FORGIVENESS BUT YOU DON'T GET THE COMPLETE PROTECTION UNLESS YOU ACCEPT BOTH OF THE ABOVE CONDITIONS.